A new village with more than a thousand homes is being planned for a site between Dalmahoy and Ratho. 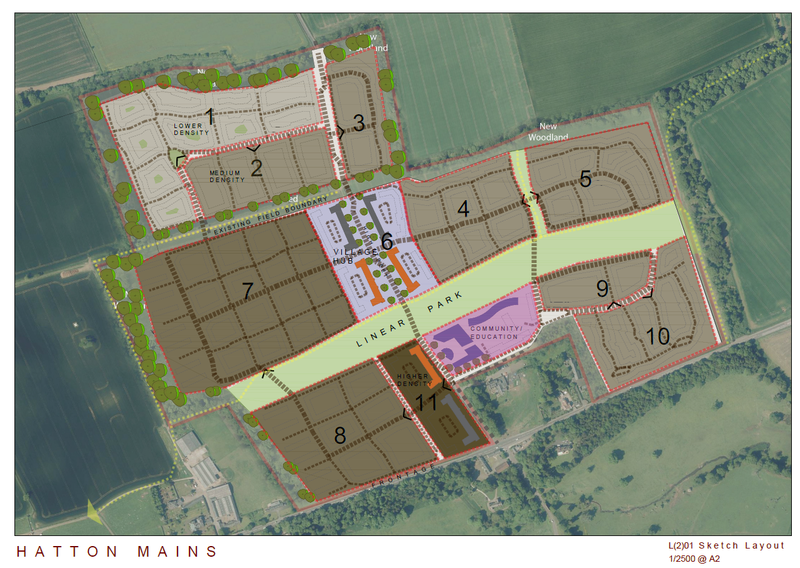 Investors Inverdunning and planning consultant Clarendon intend to bring forward a masterplan for between 1,200 and 1,500 new homes and local facilities at Hatton Village on the A71. The development would be supported by a village centre with local retail, business, leisure and education/community facilities, set within new public open space and landscaping. Those behind the proposals said the new village will provide much needed family housing including 300-375 affordable homes to cater for part of Edinburgh’s housing growth requirements over the next decade. SESplan 2, the strategic plan for south east Scotland, has outlined targets for 50,000 new homes in Edinburgh by 2030 requiring the City of Edinburgh Council to identify new growth areas to meet demand. The proposed Hatton Village site is currently green belt land. But Clarendon’s associate director David Howel said the council’s task of identifying suitable areas for growth will have to include green belt land if they are to meet the strategic 2030 housing requirements. He added: “I genuinely believe Edinburgh needs to look at new villages as opposed to continued expansion of already under pressure suburbs. “Edinburgh desperately needs new housing across the whole age spectrum. Timescales have been set for the ground to be broken on site by 2021 which developers say includes three years to promote via the Local Development Plan and the planning application process. A complete Hatton Village would take eight to ten years with around 100-150 house completions expected per year and the village infrastructure and transport links built as part of earlier phases.